Our democracy is plagued with non-participation and a large civic engagement gap. What can be done? It’s election day! And given recent voter turnout rates, it is highly likely you won’t be voting, especially if you are a young, low income, or minority American. The US is at the bottom of the list of voter turnout in developed countries year after year. Midterm elections yield even lower numbers of voters than general elections; the 2014 midterm election had the lowest turnout in 70 years. Studies also show that the U.S. consistently experiences low levels of not only voting, but civic participation in general, especially among young, non-white, low-income citizens. Not showing up goes hand and hand with being woefully uninformed — just 26% of of financially insecure Americans know which party is in control of the House and Senate, compared to (a still failing grade of) 62% of those better-off. This disparity has been called the “civic engagement gap”. From Thomas Jefferson to John Dewey, almost every democratic theorist has cited an informed and active electorate as essential to democracy. A strong democracy depends on the active participation of a representative cross-section of its citizens. This essential ideal, in fact, was the reason public schools were created in the first place: to teach the next generation how to be effective citizens. They were founded to maintain democracy and protect future generations against any threats to it. How far we have fallen from this ideal. A recent National Assessment of Educational Progress test demonstrated that only 23% of 8th graders were proficient in civics, the worst result in any subject besides history. Low-income students are even worse off; they are half as likely to study how laws are made as their wealthier peers, and 30% less likely to report having experiences with debates or panel discussions in social studies classes. The civic engagement gap starts early. Why is this important? Because a democracy only functions as it is designed to when everyone is represented, and everyone participates. It is also, for better or for worse, a system in which those that are most politically active are prioritized by decision makers. If a large section of our democracy is not politically active, they will not be adequately represented by policymakers. This only fuels the vicious cycle; the less you are prioritized, the more disillusioned by politics you become, and the less you participate. The cycle of non-participation feeds itself. Unless something changes, an enormous portion of Americans will continue to be disillusioned, non-participatory, and subsequently underrepresented. These issues beg hard questions: how do we define democracy, and how we define US democracy? Is our democracy only for some, or is it for all? Is democracy important enough to us that we will fight for it? If so, we must re-prioritize it in our schools. 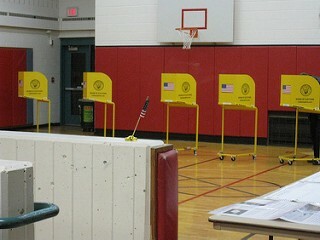 As John Dewey once said, “Democracy is a way of personal life controlled not merely by faith in human nature in general, but by faith in the capacity of human beings for intelligent judgment and action if proper conditions are furnished.” In other words, an ideal representative democracy has enough faith in its electorate to encourage it to voice its opinions. Better and more widespread civics education can help close this engagement gap and sow the seeds of participatory democracy. A good start is a more widespread use of Action Civics, which has been proven effective at increasing civic assessment scores. Action Civics can also reduce the civic engagement gap — it empowers students from disenfranchised communities to participate politically in their own communities. Civic knowledge has been proven to be correlated with higher levels of political participation, and our democracy relies on this participation. School districts and state and local government officials must bolster civics education, and through this re-commit to the values of public education as it was originally imagined. It is the only way to lift up the voices of all American citizens, and it is the only way to break the cycle non-participation. The stability and success of our democracy depends on it.